Cherry season is here! Hurrah! In celebration, I bought a huge box of the delectable morsels at the store this week, only to find that they are the one fruit my children won’t eat. It was a surprising revelation seeing as they usually devour any fruit within arm’s reach. 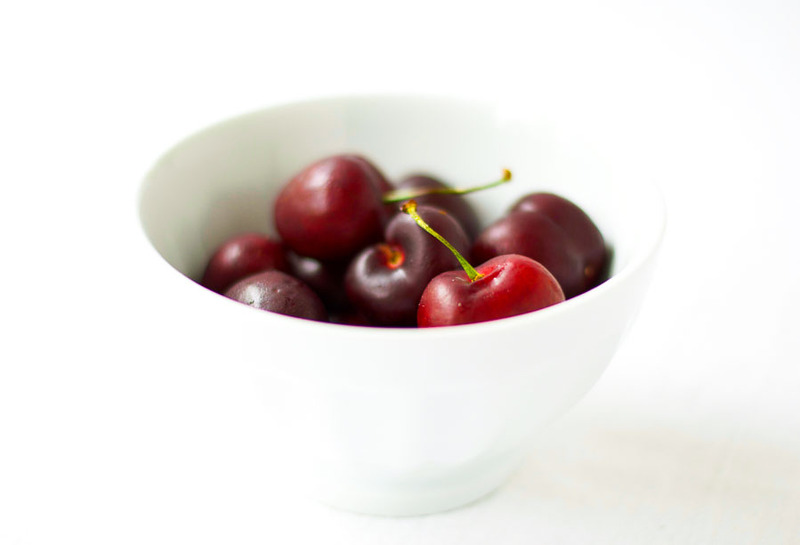 But that meant one thing – more cherries for me. 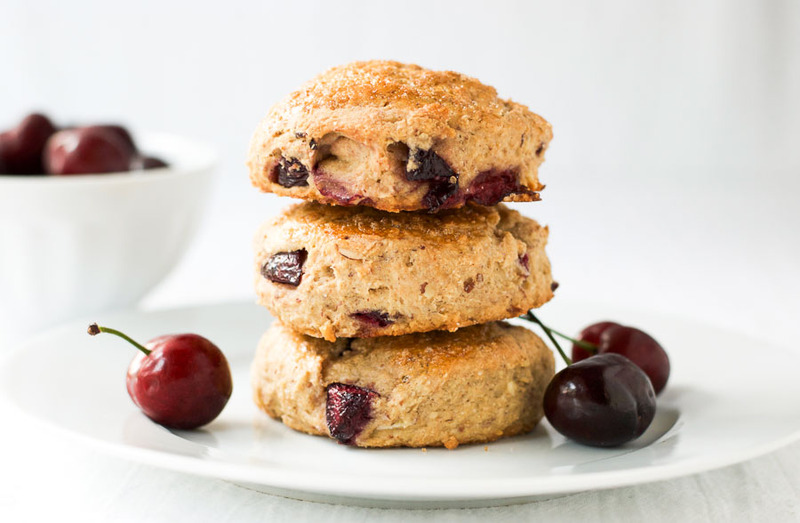 So I decided to put some to good use by making these whole wheat cherry almond scones. Funnily enough, once the cherries were enveloped in light, buttery cake, the kids changed their minds and decided that cherries weren’t that bad after all. 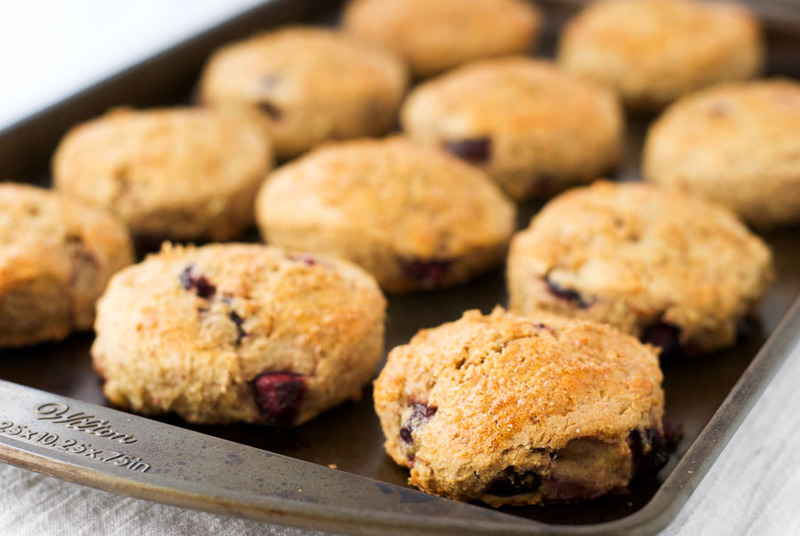 Luckily I had made these scones with whole wheat flour and yogurt, making them more nutritious than your average scone. The whole wheat flour adds fiber and the yogurt adds some protein. In addition, I shaped these the British way using cookie cutters. The result is far better portion control. One of these scones contains just 176 calories and 5 1/2 grams of sugar. Not bad when you compare that with the Starbucks blueberry scone which contains 460 calories and 17 grams of sugar! Mix the flour, almond meal, sugar, baking soda, and baking powder in a large bowl. Whisk together the egg yolk, yogurt, and milk. Add the egg mixture, cherries, and almonds to the dry mixture and stir just until a dough forms. Transfer the dough to a lightly floured surface, and gently and quickly knead. Pat the dough into a flat disk about 2 inches thick and cut into circles using a cookie cutter. Transfer the scones to a parchment-lined or lightly greased baking sheet. A wonderfully healthy and tasty recipe for cookies! 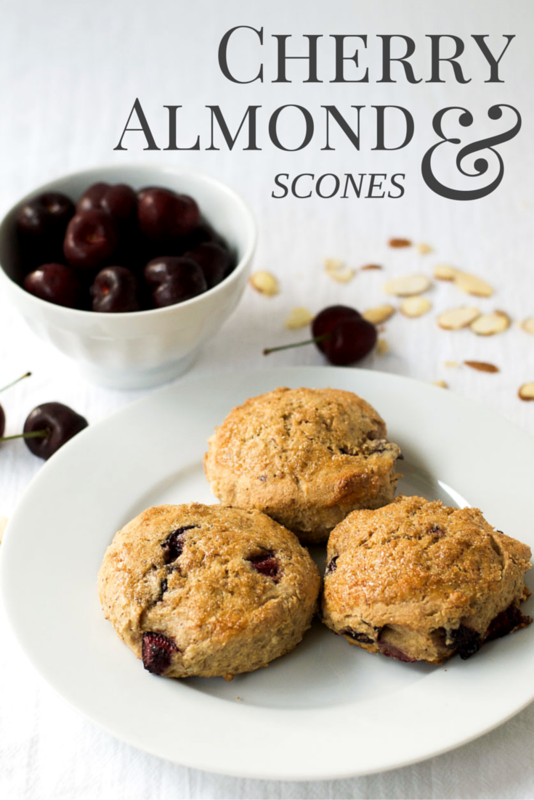 scones are one of my favourite things to make – but i never have made whole wheat ones before! they look delicious! I love to use whole wheat flour for the extra nutrition, and they are still very tasty.